HOW CUTE IS THIS??!! 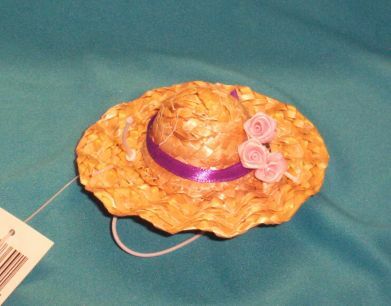 This cute little Straw Easter Hat is trimmed with a Purple Ribbon and Has three cute little Pink Flowers on it. The hat stays on the animal's head with adjustable elastic. I left the elastic long so that you can move the knot to fit your animals. 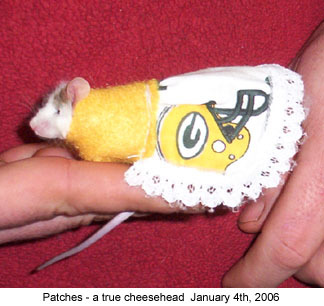 You can also color the elastic with permanent marker to darken it for darker colored mice.